Until recently, one could speculate about the new Skoda Octavia 2013 only, now you can get a first look at the car. The compact car is displayed at the Geneva Motor Show 2013 Premiere and now we have an official picture. Compared to its predecessor, the Octavia is clearly enlarged to make more room for the passengers. In the length Octavia grew to 90 mm and about 45 mm in width. The wheelbase grew even more significantly, increasing by 108 mm. This is also reflected in the available space. 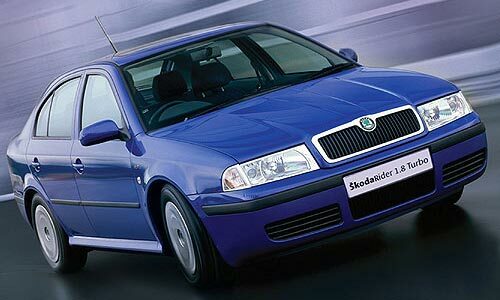 There is no confirmation made about the Skoda Octavia price but it may range something around Rs. 12 to 15 lakh. With the increase in length and width, the new Skoda Octavia features more interior space, and it boasts 1.78 m length of the interior, 78 mm of legroom and 90.8 cm headroom. These measurements extend to a mature trunk volume, so should be the new Skoda sedan with 590 liters, the largest in its class. Looking at the design, it reminds a lot of the rapid, just slightly bigger. This development we had been already announced at the Essen Motor Show 2012 since the Rapid has come between Fabia and Octavia, the sellers had something grew. Besides the dimensions, some changes falls mainly on the equipment, in terms of safety, for example, front view Assistant / emergency brake (from May 2013), Lane Assistant, multi collision brake crew Protect Assistant, Driver Activity Assistant (drowsiness detection) and a pedestrian protection with active hood used. 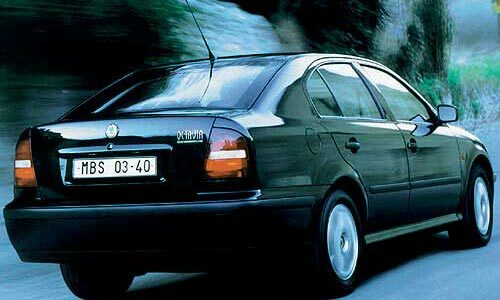 Some of these systems are only available as an option alike other Skoda cars. In addition, leads to a 3-point seat belts and knee and rear side airbags. Even with the engines themselves, the new generation Octavia optimized, so a 1.6-liter TDI Greenline comes with 81 kW (110 hp). It consumes 3.4 liters per 100 km and 89 g / km of CO2. A total of four petrol and four diesel engines will be available, including the top-engine 1.8 TSI with 132 kW (179 hp). These engines are combined with a manual transmission and the DSG. In contrast, the planning sporty RS version, a natural gas version and a four-wheel-Octavia. The low consumption of the 1.6 liter TDI GreenLine is concluded, inter alia, by reducing the weight of over 100 kg. Besides the already mentioned security systems you can notice some latest technology in the Skoda Octavia pictures. There would be, for example, Adaptive Cruise Assistant, Intelligent Light Assistant, Automatic Parking Assistant, Traveler Assistant and automatic locking and starting system KESSY (keyless entry and start-exit system). Inside, you will benefit from the newly developed generation of radio and radio-navigation systems. For the first time the touch screen comes with proximity sensor and wiper function is used.